Party Bus Clearwater is the party bus experts. Our large fleet of Clearwater Party buses can hold up to 18 and 40 passengers. Have the ultimate bus party! A1 Tampa Limo is now offering party bus service in Clearwater, Florida. We will be glad to transport your large group of passengers to anywhere in Florida. Ride in style and spacious elegance! These buses are great for large party groups, corporate charters, tailgating, and much more. No other vehicle can offer as many amenities and comfort for so many passengers than our limo buses! Clearwater has many attractions that can be paired extremely well with a shuttle bus service. Have some fun in the sun and party it up with all of your guests on the way to the beach in a party bus. If you are looking for a nice place to stay in the area, check out the Shephard’s Beach Resort. This resort has restaurants, entertainment, and beautiful accommodations that are to sure to make any vacation a memorable one. 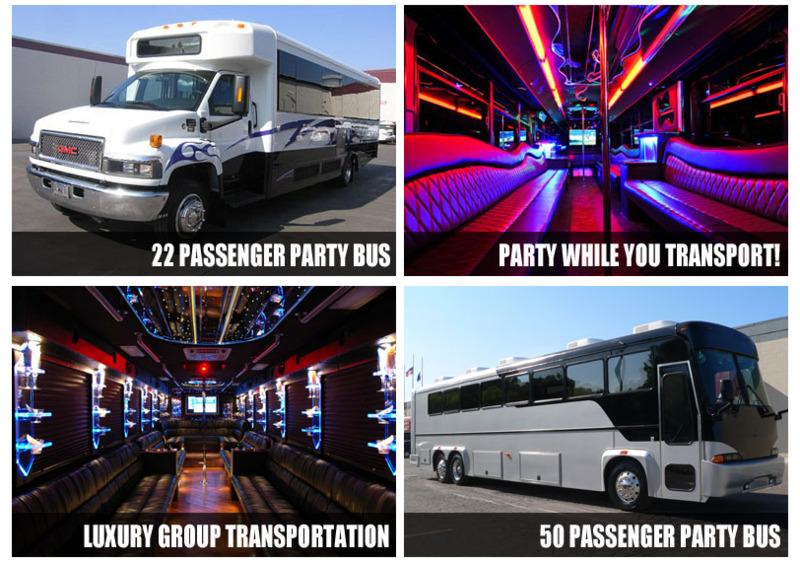 Make any upcoming trip the best it can possibly be with a party bus rental. When you book one of these incredible vehicles, you are sure to have the time of your life no matter where your destination may be. Cruise on down to The Round up, Tampa’s premier country night club, in an exciting party bus. After grabbing some drinks there, head on out to Wild Willy’s Bar and Nightclub in Largo for some food, more drinks, and some great music. Regardless of where you decide to go, a party bus rental can make any trip the most extravagant night of your life. With all of the exciting options in the area, booking with us is definitely the best choice to experience them all in a cheap and easy way. Clearwater Florida Party Bus Rentals is just the start to what we do. When you need a coach bus, charter bus rental, a cheap shuttle service, airport shuttle, van, mini van, sedan, or Mercedes sprinter call us for any transportation 24/7, or go online a get a quote. Call now for a Party Bus quote: 813-514-6980. We have 20 passenger party bus services and more which will help you choose a model that will suit you. There are several of our party bus vehicles that you can take up for hire. Our services are well known in the region. As a result, you can rest in peace when you are opting for a party bus from our agency to take you around. 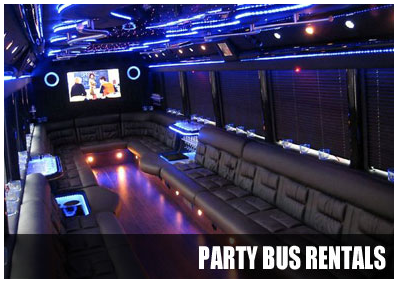 The party bus rental service that we offer can be easily rented from our site. For instance, log onto our site and check out the 30 passenger party bus models for hire. These can help you decide on the dimensions or seating capacity you are looking for as well as check the rates and terms of hire. Once these details are checked, you can proceed to enter the payment amount and finalize the booking. The party bus service can be taken advantage of by making a booking through the call center numbers provided as well. Clearwater Beach; this is a beach area which is very popular. Beach Walk; guided beach tours are popular in this region. Boat Tours; kayaking adventure and dolphin sightseeing tours can be availed in this region. Sand Key Park; it is a family park with natural and scenic beauty. Bright House; a popular stadium in this area to catch live games. These are some of the several places to check out in this region. If you are in and around the area and need to get to the Tampa International airport in time, it is best to opt for our party bus rental vehicles to get picked up or dropped in time, especially when you are traveling in a large group. The party bus service is great to opt for when you are traveling in groups in nearby towns and cities like Holiday, Tarpon Springs, East Lake, Elfers, Pinellas Park, Oldsmar, Saint Petersburg, Dunedin, Palm Harbor, Largo. These places can be easily traveled in large groups in one of the passenger party bus models or even one among the 50 passenger party bus vehicles that are available on our site.